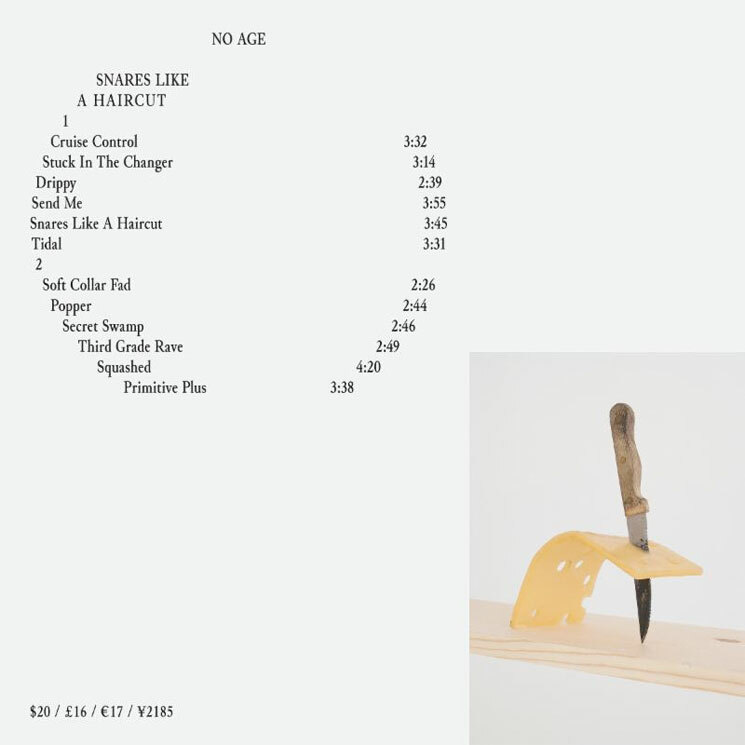 No Age make music you don't so much consume as become acclimated to. At times, they sound like they're being torn apart and fighting to stay whole (2010 career highlight Everything In Between); other times, it's like the world is collapsing upon them, rendering every electrical charge grey, distant or mute (the severely underrated minimalist art piece, An Object). After a four-year recording absence, the DIY dynamos are back with Snares Like a Haircut, an album that finds the powerhouse pair delivering ambient experiments not heard since Weirdo Rippers ("Third Grade Rave," as well as the album's title track) and the kind of Kevin Shields-meets-Grant Hart flourishes that originally got punks moshing and critics wishing they were in the pit (opener "Cruise Control," and nearly every other track). They don't exactly reinvent the wheel here (Spunt's work with contact microphones, a major musical high-point on their previous record, seems absent), but rather refine the goods that got them to this point (the dreamy "Send Me," propulsive "Soft Collar Fad" and "Drippy" are definitely up there with their best tunes).